I finally got my goldfish. They are from an awesome local breeder and I can’t wait to watch them grow!!! Addicting Enjoy..they look very nice. It looks like the grey one has ick. He doesn’t. It was debris that got stirred up in the bag. I checked the breeders tank. No signs of illness and he doesn’t even quarantine in the same building. Lovely goldfish. I like the Ryukin the best. Very nice. Enjoy watching them grow. It has split fins. It isn't a veiltail. It's a long finned Ryukin. No doubt about it. It's very pretty. 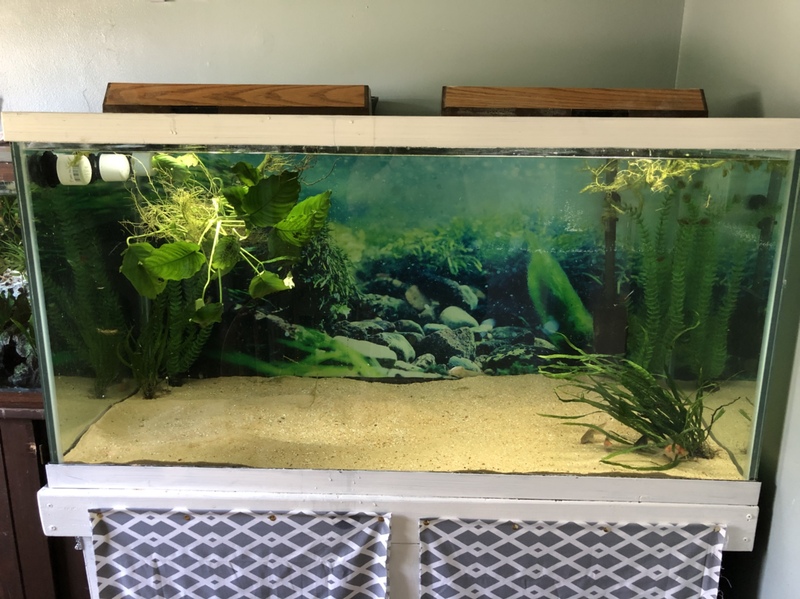 Beautiful tank set up and fish. How many gallons? Many years ago (probably from reading something on here) we removed all the gravel from our tanks. Best thing we ever did. The breeder isn’t breeding ryukins this year, it’s an English veil. Their new tank. You can see them in the corner. It’s a work in progress, I need to get driftwood and stones.